The Shri Makhanlal Chaturvedi Government College was set up in the year 1984 to impart education on the undergraduate and postgraduate level. It is a self-financed institute that is named after Pandit Makhanlal Chaturvedi who was an ace poet and journalist belonging to the area. He gained national recognition not only for his profession but also for his puissant efforts to free India in the struggle for freedom. The institute applies tremendous efforts to train its 450 students in the streams of arts and commerce. Why to join Shri Makhanlal Chaturvedi Government College, Hoshangabad, Madhya Pradesh? Building and Infrastructure: The building is good enough to provide all the facilities to the students. There is a principal room, sports room, dispatch room, computer room, general hall and eight classrooms. The new building under the college acquires about three acres of land. The old building of the college acquires about 1.5 acres of land and has a vast playground as well. Sports and Library: Sports playgrounds and facilities are available for various sports like badminton, basketball, kho-kho and other sports. 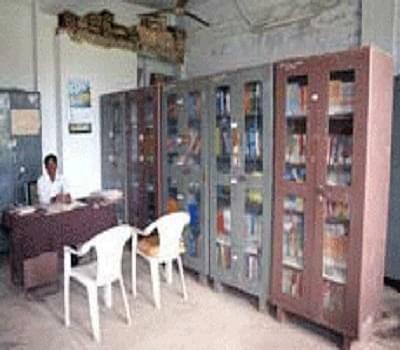 There is a good library that provides numerous books to the students to study. There are about nine thousand books in the library which consists of all necessary course books required by the students. National Service Scheme: The students in the college are rendered NSS programs since the academic year 1996-1997. The various programs under the scheme are organized by the students under the assistance of teachers. The students are encouraged to participate in the making and the strengthening of the nation. The services aid the students in being grounded with the society in which they are born.